Americans don't like failure very much. Well, that's sort of like saying snails don't like salt very much. Americans, like snails confronting salt, shrivel up into foaming puddles of screaming goo at the very thought of failure. This is a pity because failure is such an important part of our lives. But in almost every story that Americans enjoy, failure is only there as a "setback" in a larger narrative of success. The Bad News Bears lose so that their end victory can be all the sweeter. Clubber Lang has to beat up Rocky so he can overcome the defeat (and so we can stop giggling at the idea that Mr.T and Sylvester Stallone are world heavyweight champions). We don't hear a lot of stories about how the failure itself ends up becoming the best thing that ever happened to someone. Those stories are icky. They are the story equivalent of that guy who smells vaguely like toe jam and limburger cheese–we're not opposed to their existence in the strictest sense, but we don't want them anywhere near us. We don't hear about the person rejected by fifty publishers who discovers they love teaching and goes on to have a fulfilling life as a teacher, writing as a hobby and is blissfully happy. The happy ending is all but negated by the fact that the person failed. The point is, we never hear much about the benefits of failing. We hear platitudes about getting knocked over six times, and getting up seven, which, while containing seeds of truth doesn't give us the bigger picture that we don't just just fuel that getting-back-up with an endless pool of raw determined willpower to succeed. When we get knocked down–each time we get knocked down–we we learn something invaluable about ourselves. Failure is brilliant. We may learn our strengths, our weaknesses, and, yes, even our limitations. We may learn sobering lessons about what won't work and what can't work. We may give up on things not because we are weak or soft but simply because we realize how limited the returns are. (When I was younger, I had easily three dozen friends who had ambitions to be published authors. Now that number is closer to five or six.) We learn who we are and what we really care about. We may even realize we don't want something as bad as we thought we did–not enough to keep getting knocked down for it. 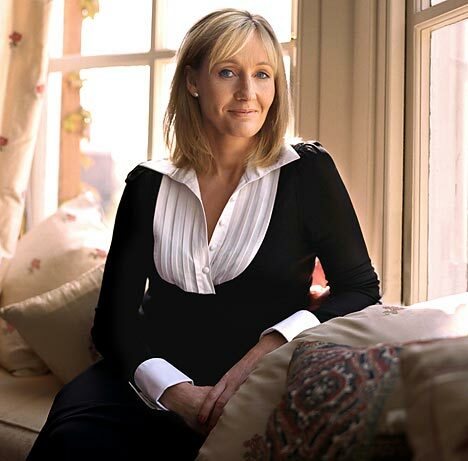 J.K. Rowling spoke at a commencement speech for Harvard on the fringe benefits of failure. I disagree with one simple idea here. These aren't the "FRINGE" benefits of failure. These are simply the benefits of failure. Yes, we are probably looking at the most profound narratives of success in our generation, and the stories of her failure are (typically) woven into a narrative of eventual success, but Rowling herself does not demean the idea by simply telling the graduates to "have faith and press onward." She tells them why the failure made it possible for her to succeed. FAIL! Fail again. Fail better. You might want to grab a tissue if you watch this. [Youtube does not have the full speech, but it is here if you'd prefer to watch it uninterrupted. And I do believe that my failure to be a veterinary technician, and thus my failure to be a vet, may well have contributed to this idea that I have (in my own head) that I will be a good, perhaps great, scientist.